As there are a plethora of food and wine festivals and events in France, I thought I’d let you know about them. There are so many things I love about living in France but the celebration of food and wine is right up there at the top of the list. There is always a food item or wine to be celebrated all over France. Major events are marked with good food and fine wine is revered throughout the Country. This year I am compiling a list of major food and wine festivals all over France. I will be publishing 2 months at a time, so watch out for the next one at the end of February. This annual event celebrates everything Truffle! Organised by the Groupement des Producteurs de Truffes du Périgord Noir and the city of Sarlat the whole weekend is centred around this amazing mushroom. There are workshops for truffle identification, aroma, how to purchase a truffle. A large truffle market with many fresh truffles and products derived from truffles. There will be truffle hunting demonstrations, cooking classes and truffle tastings. Each year in Burgundy the winegrowers from each village get together at the end of January to thank their Patron Saint St Vincent for their wine harvest and ask for his protection for the next wine harvest. This wine festival has ancient roots dating back to the Middle Ages. Each year the festival is held in a different village which is why it is called ‘Tournante’ which means ‘in rotation’ in French. Over the weekend there is a wide range of activities including a procession, a Mass, a big dinner and plenty of wine tastings of the wines of Burgundy. This is a large event and normally attracts over 30,000 visitors. For more detailed information and to reserve your wine tasting kit, click here. 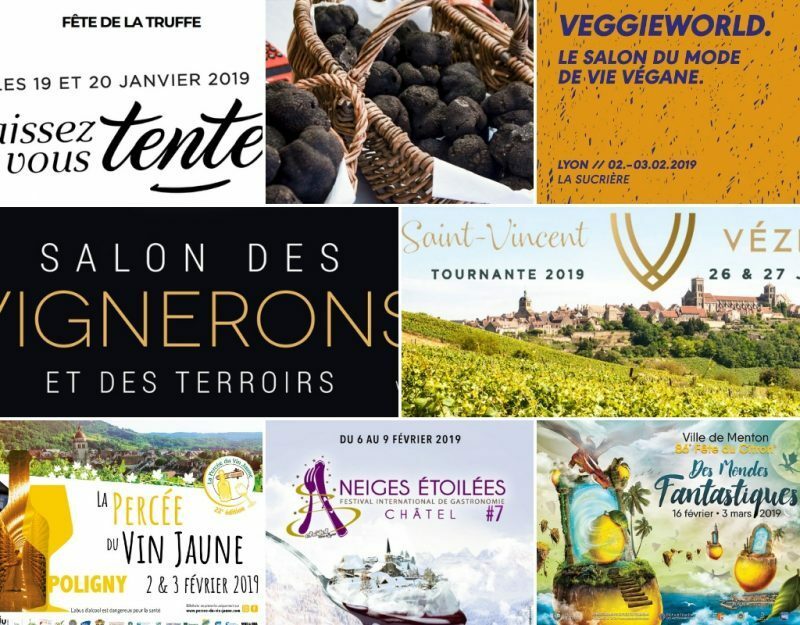 This is the 13th edition of the three-day food and wine lovers event organized by The Salon des Vignerons et des Terroirs. 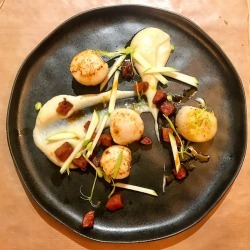 Held at The Forum Gambetta in Calais, there will be food and wine tastings, over 40 wine producers from all over France and local and regional food productors all exhibiting at this gastro event. Click here for more info, free tickets and wine tasting kits. This is the 22nd edition of the wine festival to celebrate the vin jaune ‘yellow wine’. This is a specific type of wine that after being fermented is matured in oak casks. The four appellations for discovery are: Château-Chalon (AOC), Arbois (AOC), l’Étoile (AOC) and Côtes-du-Jura. Talk to the winemakers, taste the wine and learn about this wine and the region. This is a very busy festival and tickets must be purchased in advance. For the full programme and to buy your tickets online click here. here are a few I’ve been to. 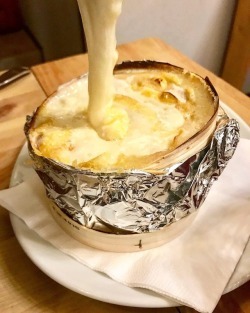 Please note: that we check websites for updates regularly and food and wine-related events are posted on the Taste of Savoie Facebook Page – but please check the events websites before going as changes happen sometimes! Please let me know of any food and wine events going on in your region of France so that I can include them in my posts throughout the year. They all look great, but I think the truffle festival would be my favourite! Yes I’d like to visit The Truffle festival too! keep looking out for my posts as I’m going to post foodie related events in France every 2 months throughout the year! Oh you must visit France, there is so much to see and do and eat great food and drink fine wine! Now that’s a fine idea Jeanne! There are many more foodie fetes coming up this year too!